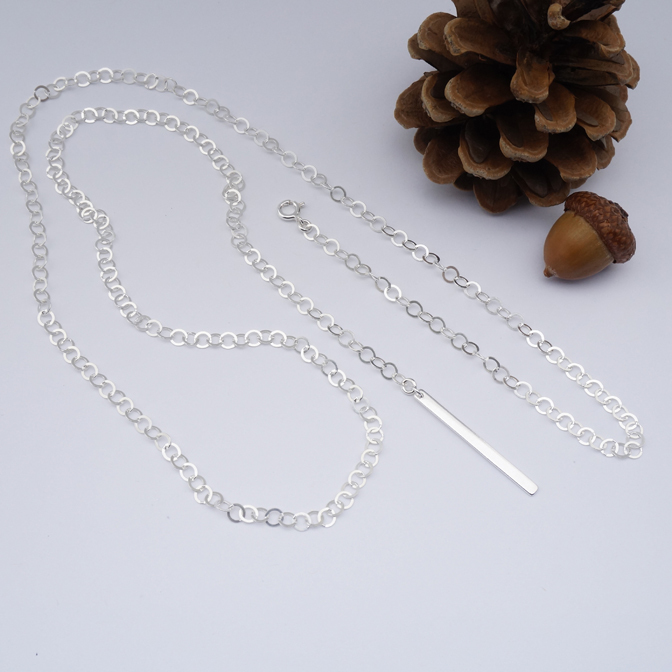 Long and versatile, this sterling silver lariat necklace is completely adjustable. 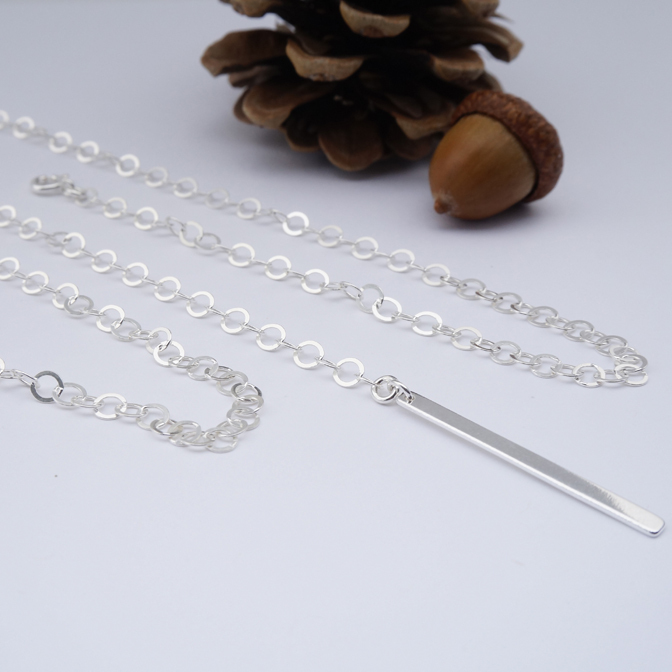 Sterling silver round flat cable chain, with a tiny spring ring clasp one one end of the necklace and a long, sterling silver bar, on the other. 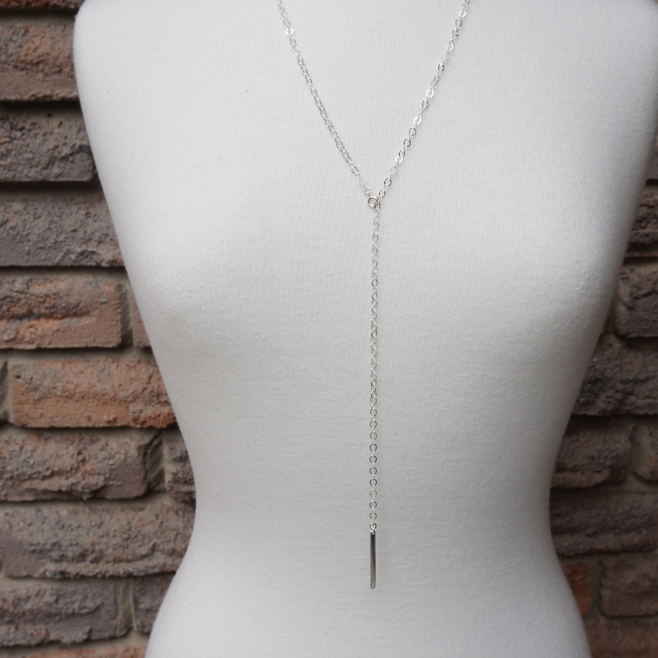 Fasten the clasp anywhere along the length of chain to change up the look of your ONDREA necklace. 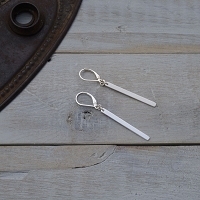 Works great with different necklines in your wardrobe. 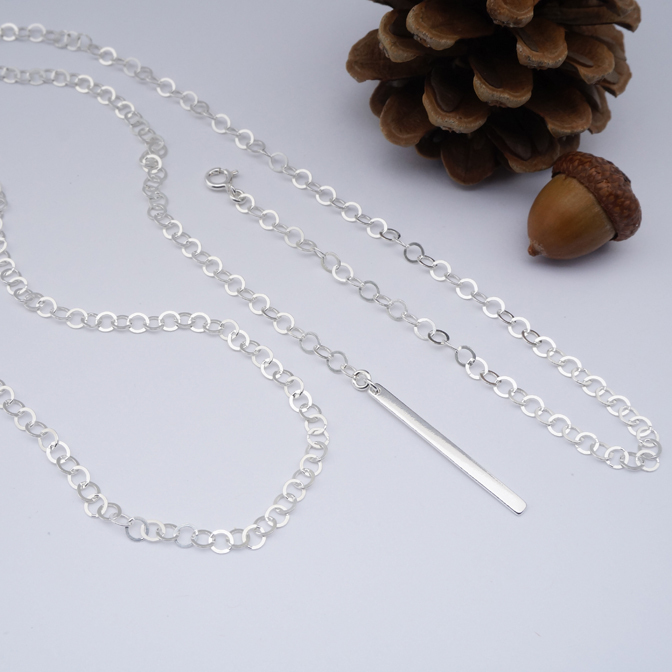 A truly versatile, stunning piece.